Prime factorisation or complete factorisation of the given number is to express a given number as a product of prime factor. 1. Find prime factorisation of 36. Prime factorisation of 36 = 2 × 2 × 3 × 3. 2. Find prime factorisation of 32. Prime factorisation of 32 = 2 × 2 × 2 × 2 × 2. 3. Find prime factorisation of 51. Prime factorisation of 51 = 3 × 17. = 3¹ × 17¹ = 3 × 17. 4. Find prime factorisation of 57. Prime factorisation of 57 = 3 × 19 = 3¹ × 19¹ = 3 × 19. 5. Find prime factorisation of 60. Prime factorisation of 60 = 2 × 2 × 3 × 5. = 2² × 3 × 5. 6. Find prime factorisation of 63. Prime factorisation of 63 = 3 × 3 × 7. 7. Find prime factorisation of 72. Prime factorisation of 72 = 2 × 2 × 2 × 3 × 3. 8. Find prime factorisation of 75. Prime factorisation of 75 = 3 × 5 × 5. 9. Find prime factorisation of 78. 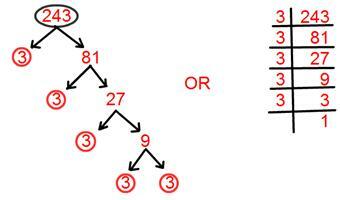 Prime factorisation of 78 = 2 × 3 × 13. 10. Find prime factorisation of 93. 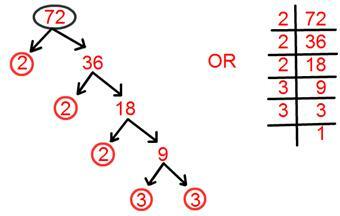 Prime factorisation of 93 = 3 × 31. 11. Find prime factorisation of 102. 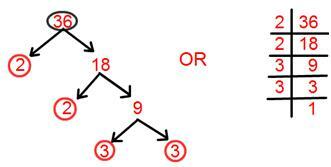 Prime factorisation of 102 = 2 × 3 × 17. 12. Find prime factorisation of 120. 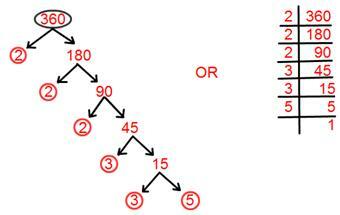 Prime factorisation of 120 = 2 × 2 × 2 × 3 × 5. = 2³ × 3 × 5. 13. Find prime factorisation of 225. Prime factorisation of 225 = 3 × 3 × 5 × 5. 14. Find prime factorisation of 243. Prime factorisation of 243 = 3 × 3 × 3 × 3 × 3. 15. Find prime factorisation of 360. Prime factorisation of 360 = 2 × 2 × 2 × 3 × 3 × 5. = 2³ × 3² × 5. ● Highest Common Factor (H.C.F). ● Examples on Highest Common Factor (H.C.F). ● Greatest Common Factor (G.C.F). ● Examples of Greatest Common Factor (G.C.F). 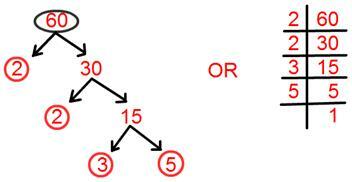 ● To find Highest Common Factor by using Prime Factorization Method. 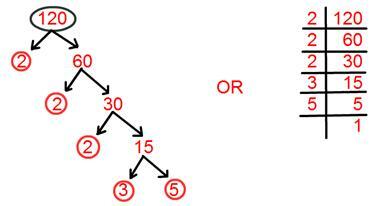 ● Examples to find Highest Common Factor by using Prime Factorization Method. ● To find Highest Common Factor by using Division Method. ● Examples to find Highest Common Factor of two numbers by using Division Method. 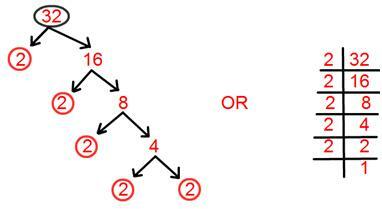 ● To find the Highest Common Factor of three numbers by using Division Method.